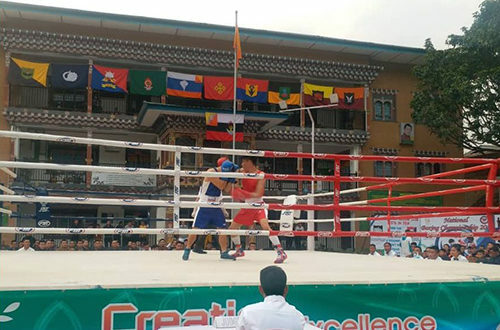 The second national boxing championship was held in Phuentsholing Middle Secondary School, Chhukha Dzongkhag with 120 boxers (inclusive of sub-junior boxers). The first national boxing championship was organized in 2016 at the Royal Institute of Management hall in Thimphu. 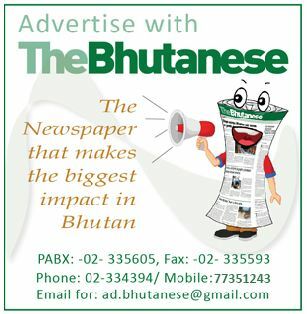 The event is fully financed by Bhutan Boxing Federation (BBF) and Bhutan Olympic Committee (BOC). In addition, Phuentsholing Thromde has also put in some contribution for the program. The championship started on January 24, 2019 and will conclude on January 31. There are girls participating in the sub-junior level which is below 12 years, however, there is not even a single adult women taking part in the competition. Though BBF was established in 1974, they could only organize the first national boxing championship in 2016. General Secretary (GS) of BBF said that they initiated the program first in 2016 with various aims and objectives. He said that their objective was to promote boxing in Bhutan, to make boxing as popular as other sports and to engage children in boxing from a grassroots level. In 2018, BFF have introduced four boxing club in country for grassroots level and as of now they have 47 children (12 years and below). They will be trained for six months, he said. He also said that, they actually had planned to organize separate programs for sub-juniors (kids), but they couldn’t as it was difficult to organize during school days. Therefore, they had to club the events together with the adults. “It is difficult to get women in boxing. Though we have one woman in the federation, she couldn’t take part in the competition as she did not have an opponent. We must encourage more of women participation because they have better chance in the international level,” he added. Meanwhile, 35-year-old Sigay Phub, owner of Druk Thimphu Boxing Club said that since he wanted to encourage youths to take up boxing, he decided to withdraw from national team and he then set up a private club in 2016. As of now, the club has 35 trainees (students), including 7 female. Boxing can keep youths in discipline and away from unsafe activities, moreover it will keep them fit. From his club, there are 6 male participants who are taking part in the championship this year. “I feel that we need to encourage more women because they can do much better. Boxing is not a dangerous game as seen or described by people- boxing is a safe game like any other sports. Women can also be equally be at par with man in this century, so I encourage women to take up boxing without any fear,” he added. He also said that if he gets support from the government, then his club in collaboration with BBF have a plan to come up with a boxing school in future. 23-year-old Karma Yoezer, a participant said that he has always keen to take up boxing since his childhood and thereby he also participated in the national boxing team since 2007. However, due to health issues he had to withdraw from national team but he is now playing for the club. “I will take up boxing throughout my career,” he said.